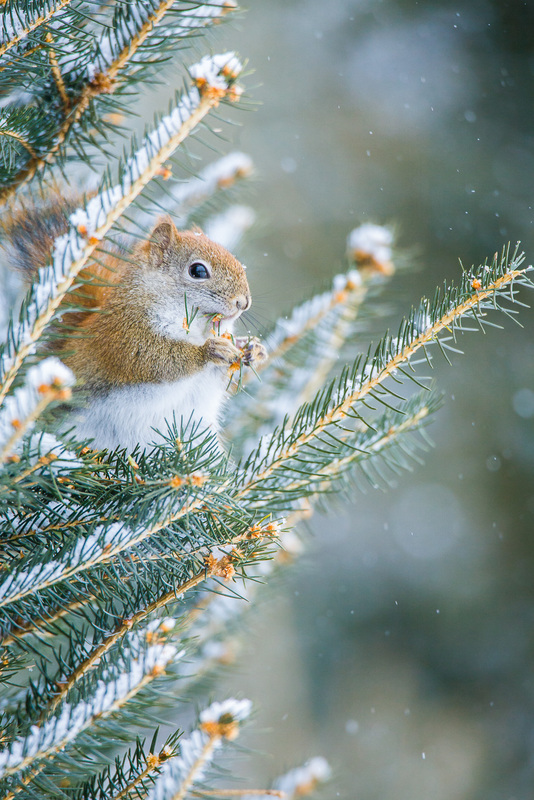 Squirrel munches on the sweet tips of a fir tree during a New England snow storm. Sometimes nuts are not enough. Photo © copyright by Lance B. Carter.